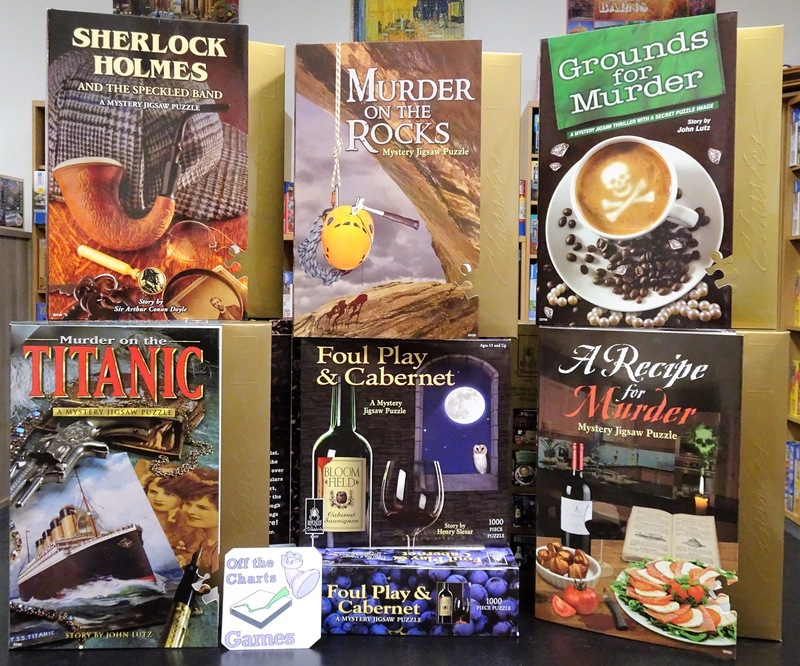 In response to requests from our jigsaw puzzle-loving customers we have a line of Murder Mystery puzzles available again. 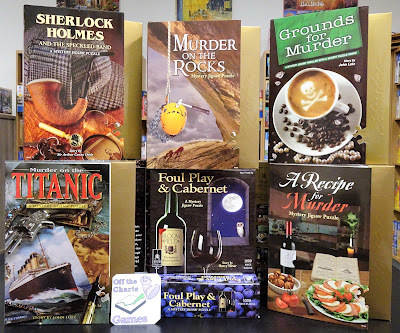 These classic mystery puzzles come with a brief mystery story. Assemble the puzzle to look for the hidden clues. Solve the mystery by piecing together clues from the story and the puzzle. Another interesting feature of these puzzles is that you will not have an image of the puzzle to work from. The image on the box is not the image of the puzzle. So if you like a good challenge these are right up your alley.